The Arts:- Music & Dance Communicating Meaning - Repetition - Participation Transition - Dynamics - Social Dancing. History of Dance. You don’t have to be a Dancer to Dance! 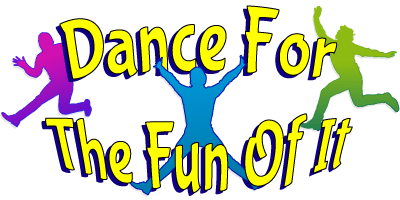 Dance For The Fun Of It looks at a multitude of different dance genres. Some dance styles like Hip Hop, Melbourne Shuffle, Conga, The Sailor’s Hornpipe, Ballroom, Ballet and its beginnings in the French Royal Court in the sixteen hundreds, are explored in some depth. In three fun mash-ups (medleys), dances like the Macarena, Hokey Pokey and The Chicken Dance are danced for only a few seconds, while others including Disco, Nut Bush City Limits, Popping and the finale, a dance routine choreographed to the 1970’s hit Kung Fu Fighting are given more time. Students are shown that with most dance styles it is as much about the clothing worn as the dance. Melbourne shufflers love their phat pants (jeans with metre wide legs) decorated with outrageous designs that reflect the light on the dance floor. Ballroom dancers are more formal in their fashion and as Andrew relives his first dance lesson, everyone has a laugh at his first gangly foray into the world of Classical Ballet. Some may be surprised to learn that Hip Hop is much more than the dance, music and fashion as Andrew demonstrates its several other elements. Dance For The Fun Of It combines humour, audience participation, surprise, costume and of course dance in this most enjoyable look at dance through the centuries and most importantly today. Excellent. Enjoyed by the preps to year 6 - very relevant to Dance Curriculum. Very competent performer - excellent rapport with students, even yr 6 throughly engaged. Lyn Shepherd. Knoz Park Primary. VIC March 2017. The performer was entertaining, humorous and engaging with the audience. Costumes were colourful. Susan Olley. K to Year 6. Strathmerton Primary School. Strathmerton. VIC. 26/05/2016. Great show that all students enjoyed. Very well put together. Props were great and costumes help make the show. Older students found the facts and history interesting. Roy Mitchell. K to Year 6. Scotts Head Public School. Scotts Head. NSW. 10/02/2016. Requires an indoor performing area 4.5m deep x 7m wide x 2.5m high.